Music happens: Musicians come together, one plays and has an idea, the others joining in and let things happen, unpredictable, very personal things: the goal is beauty and expression.Contrabassist Matthias Akeo Nowak and tenor saxophonist Sebastian Gille, drummer Bill Elgart and pianist Achim Kaufmann - very different in age and life paths but amazingly close together, if you put the flow of their musical ideas in focus.There is Sebastian Gille, the youngest member of the quartet, born in 1983 in a village near Quedlinburg in the Harz, for whom the end of the GDR had come just in time to open the doors for jazz. The young saxophonist quickly develops into one of the most expressive exponents of his field, in whose tone the breath can be heard in all warmth, sensitivity, vulnerability and the will to cross borders. 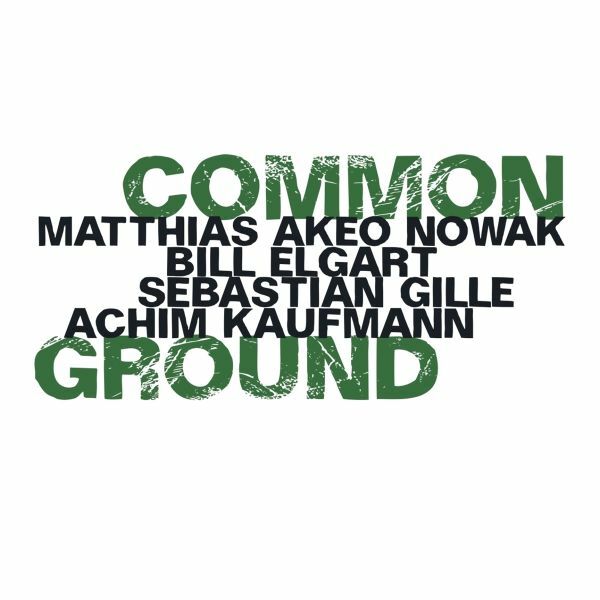 Sebastian Gille meets Matthias Akeo Nowak in Cologne and together they decide to found this quartet. Nowak, born in Berlin, family-bound with traces of Japanese origin, rooted in a vast field of contemporary music between jazz, rock and symphonic music and known as a virtuoso of team-savvy playing, is seven years older than Gille and obviously close in his musical taste.When drummer Bill Elgart joined, born in 1942, a veteran of modern jazz, who earned his first merits alongside musicians like Paul and Carla Bley or Gary Peacock, the project got even more contours. With Achim Kaufmann, born in Aachen in 1962, an expressive abstract among the pianists who, like no other,knows how to balance playfulness and stringency, coincidence and structure in improvisation, the fourth was found for the group.Together they play a music in which all prerequisites, the differences of the life paths and horizons of experience no longer matter- with the utmost concentration, all four work to make new melodies, rhythms, textures happen again and again. Whether it is Elgart, who plays his drums with a tremendousrichness of color, so that under the rhythmic accents melodic movements resonate, or Kaufmann, who always provides the potential for sudden changes of direction with the rich harmonies in his left hand; whether Nowak with clarity and great calmness links the various melodic threads, or Gille, who, with his striking, almost breathless tone and an almost ascetic calmness, only lines up the notes, which the music really needs: it is the high art of improvisation thatcan be experienced here.